WASHINGTON (CNS) — The Rev. Billy Graham was “a preacher of God’s word not only in his sermons, but also in the very life he lived,” said Cardinal Daniel N. DiNardo of Galveston-Houston, president of the U.S. Conference of Catholic Bishops. “Today, we pray for the soul of the Rev. 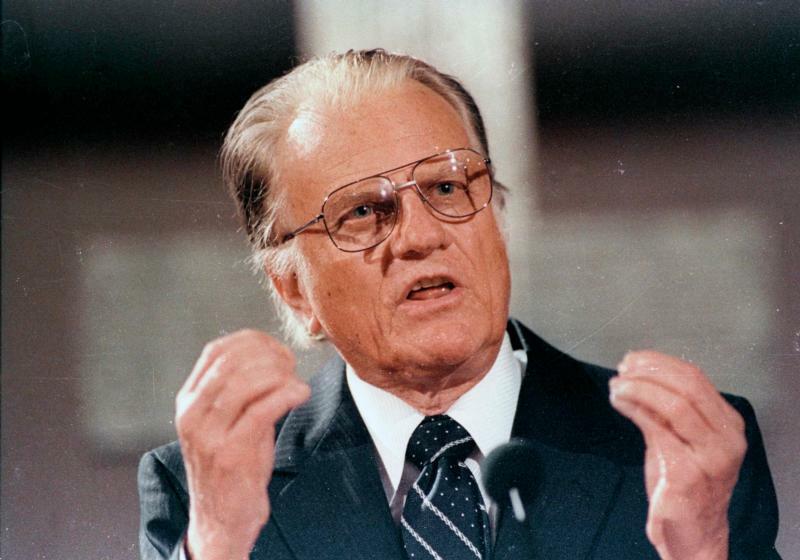 Billy Graham to the Lord he so dearly loved and offer our condolences to his family,” the cardinal said in a statement about the Feb. 21 death of the world famous Baptist preacher. “His faith and integrity invited countless thousands around the world into a closer relationship with our Lord and Savior Jesus Christ. Thanks be to God for the ministry of Billy Graham,” Cardinal DiNardo said. An outpouring of statements paid tribute to the man who was easily the most famous evangelist of the 20th century. Born in Charlotte, North Carolina, Rev. Graham died at his home in Montreat, North Carolina, at age 99. He preached the Gospel in person to more people than any other evangelist in history. He reached at least 210 million not only through his personal appearances but also through his radio and television ministries. “Through his ministry, he taught the world that Jesus is the way and the truth and the life. May the Father of mercies now receive Dr. Graham into his loving embrace. The condolences and prayers of the Catholic Church are with the Graham family at this time,” said Bishop Peter J. Jugis of Charlotte. In neighboring Tennessee, Knoxville Bishop Richard F. Stika recalled meeting Rev. Graham in 1999 during his visit to St. Louis as he was preparing for one of his famous crusades to be held there. That same year, then-Msgr. Stika, a priest of the St. Louis Archdiocese, was archdiocesan coordinator for the visit of St. John Paul II to St. Louis. Cardinal Rigali, now retired and residing in the Diocese of Knoxville, said he remembers the Rev. Graham from that same meeting in St. Louis. “His ecumenical approach in ministry helped to forge bonds of friendship and understanding between Catholics and Protestants. He reminded us that what we had in common in Christ was greater than what divided us,” said Bishop Joseph C. Bambera of Scranton, Pennsylvania.